Today, when you order "Cups and Balls (Booklet)", you'll instantly be emailed a Penguin Magic gift certificate. You can spend it on anything you like at Penguin, just like cash. Just complete your order as normal, and within seconds you'll get an email with your gift certificate. The oldest trick in the world is one that is still new and fresh to audiences today. It can be seen in fancy restaurants, hotel and cruise ship floorshows, and private parties in the homes of the jet set. Ever new, ever different, the trick is never presented the same way by any two magicians. Each performer's own personality determines the style of the routine. 30 pages of illustrated instructions on "the oldest trick in the world." Learn to be the life of the party, spruce up a floorshow or make a few bucks as a restaurant table-hopper. Covers basic moves to advanced routines. I'd say this booklet (and it is very short) covers the usual stuff that's in everybody else's Cups and Balls instructions. Unfortunately, I was looking for something beyond the basics, some new twist or variation in the basic routine. It's not there, folks. 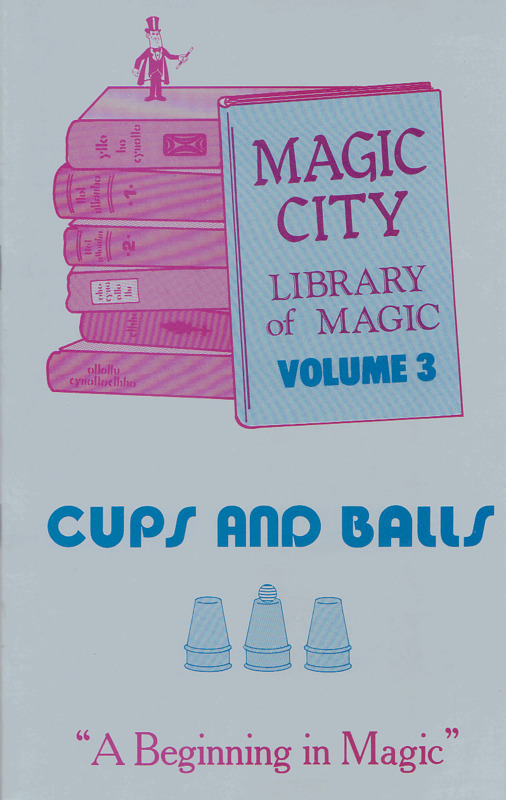 So if you've never done cups and balls before, this booklet will do. It's the basics, anyway. This book is a great starting point that builds from the basics. For a new student of the Cups and Balls, this is a great investment, but if you already have a routine, you don't have to go through that again. Great explainations, easy to follow.